Everything happens in 3’s why? The rule of three is a writing principle that suggests that things that come in threes are inherently funnier, more satisfying, or more effective than other numbers of things. The reader or audience of this form of text is also more likely to consume information if it is written in groups of threes. From slogans (“Go, fight, win!”) to films, many things are structured in threes. 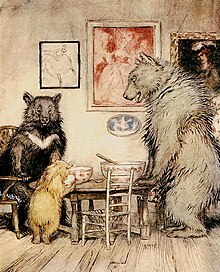 Examples include The Three Stooges,Three Little Pigs, Three Billy Goats Gruff, Goldilocks and the Three Bears. A series of three often creates a progression in which the tension is created, built up, and finally released. Similarly, adjectives are often grouped in threes to emphasize an idea. I don’t think things happen in three’s but I think we expect them to happen, so we notice more often than not when they do. One thing is for sure, when 2 things have happened I”ve always waited for the shoe to drop and the third thing to happen and it usually does. We arrived home to replacing a stove, washer and bedroom. This week the door on the fireplace, a window, and a chimney lining. Oh and BTW I’m liking my stove all the way. When the electric one gave out on me I decided to start cooking with gas again. See the bottom, I can’t put my frying pans there anymore as it is a warming tray. Do you have the same association with 3’s as I do? A Poutine! Hum, crispy fries, tasty gravy, and a mess of cheese melted on top…That’s a poutine! Yesterday we took a drive out Guess Rd and headed towards Honey’s Restaurant for lunch. Not elegant dinning, not fast food but I’d put them in the home cooked category. It’s a fun place and definitely comfortable, clean and relaxing. However Jennifer was offered a booth to sit at and well being 81/2 months along you can’t sit at a booth. So we had a chair pulled up for her at the end of the booth. Jennifer and I were there for the Poutine! Grandpa ordered the lunch time special and a small Mountain Dew, this is a small, Ah excuse me! If you remember this slogan maybe you can remember these in all the stores and restaurants also. A real working cigarette machine….I wanted to put my quarters in it just to see it work. It has been rainy for the past few days here in North Carolina, but better than the weather everyone is getting back home in PEI, -3 and snowing. Time to get working on the next scrapbooking border. I’m trying to get it done before we head to Savannah Georgia next week to see a dear friend. I’m excited and still have to go on line and find places to see and things to do yet. June has come to the Island for the past number of years and last year due to a number of out of control reasons she didn’t make it. I missed her terribly this past summer at the tea room, she is always a cool night’s breeze when she walks through the door, I love her. Trails of Hats'n Hospitalitea is powered by	WordPress 4.8.9 and delivered to you in 0.356 seconds using 72 queries.